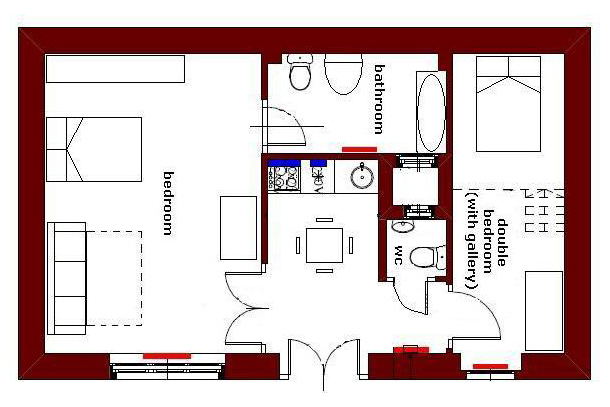 Below are the options for the same apartment for you to choose from depending on the number of people who will stay in the apartment. 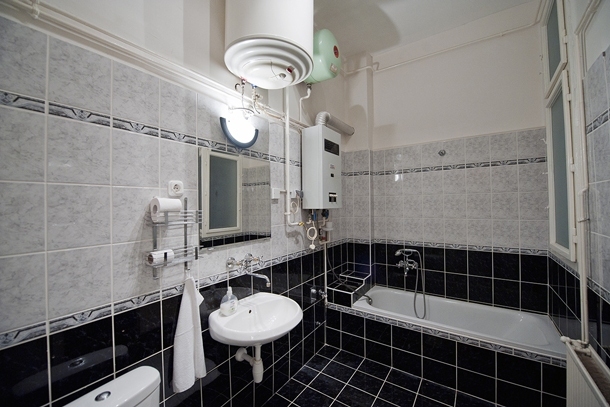 The total price will include a one-time 17 € fee for change of linen and towels and one-time final cleaning fee for 17 €. These two items will be automatically added during the process of reservation. 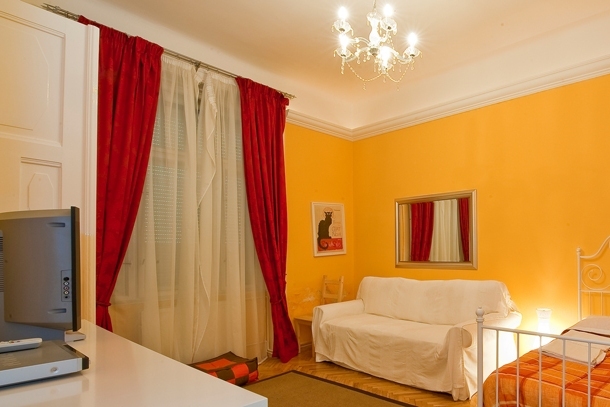 Use this to book the apartment for 1-2 people. 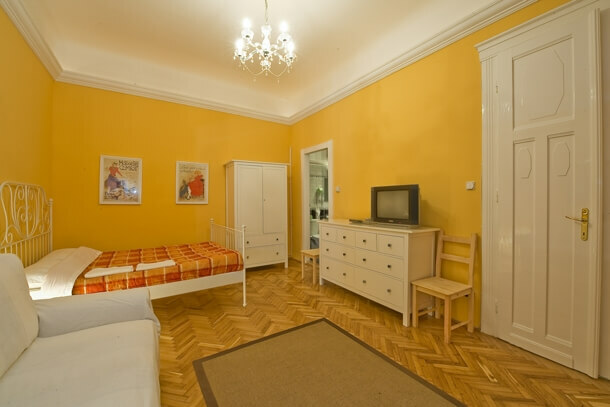 University Apartment Budapest is conveniently located for sightseeing in Budapest with Váci Street and the Hungarian National Museum within walking distance. 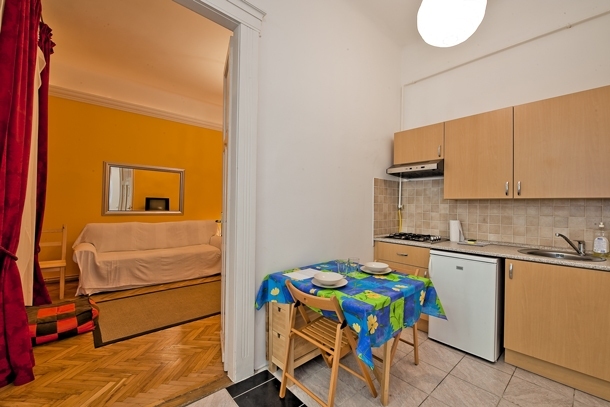 This spacious 50 m² apartment can accommodate 8 people. 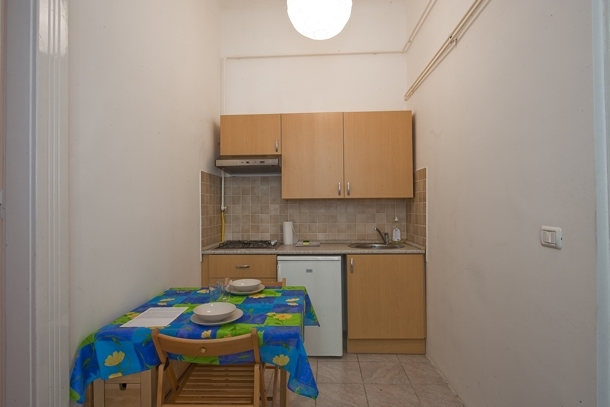 It has 2 rooms (one living room with a double sofa bed and a double bed; and one bedroom with two double beds), a kitchen and 2 bathrooms. The apartment is central but also very quiet. No noises will disturb the calm atmosphere. 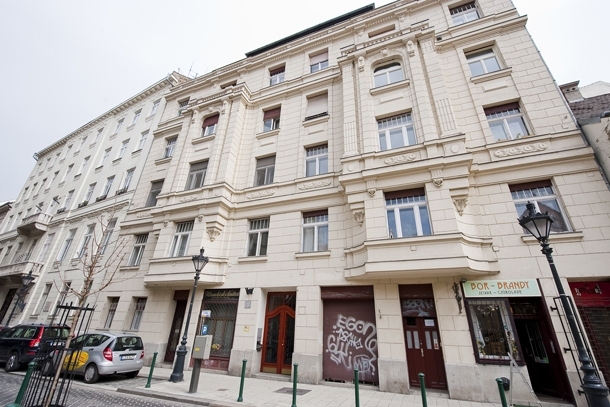 University Apartment Budapest is ideal for people looking for two separate bedrooms and two bathrooms. Use this to book the apartment for 3 people. Use this to book the apartment for 4 people. Use this to book the apartment for 5 people. Use this to book the apartment for 6 people. Use this to book the apartment for 7 people. 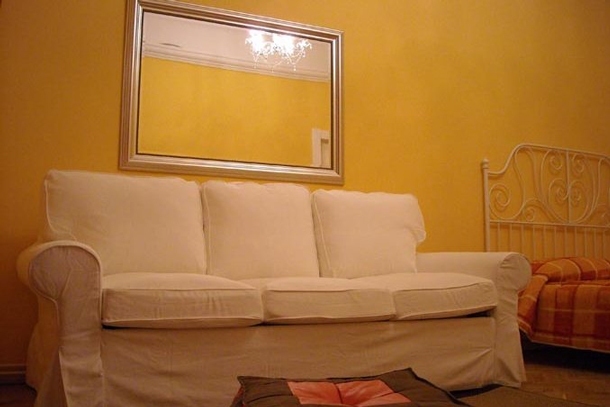 Use this to book the apartment for 8 people. Great Market Hall (Központi Vásárcsarnok) – largest and oldest indoor market with grocery produce & souvenirs. 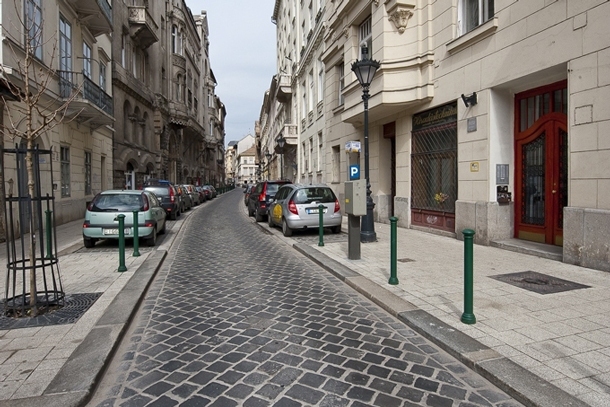 Guests can also easily visit the Gellért Baths, the Dohany Street Synagogue. The check-in time is from 8:00 - 23:00. For a late check-in after 23:00 there is an extra charge of € 30. Please note : non smoking, pets are not allowed, no parties please, younger groups on request. There's a possibility to request a baby cot on location. 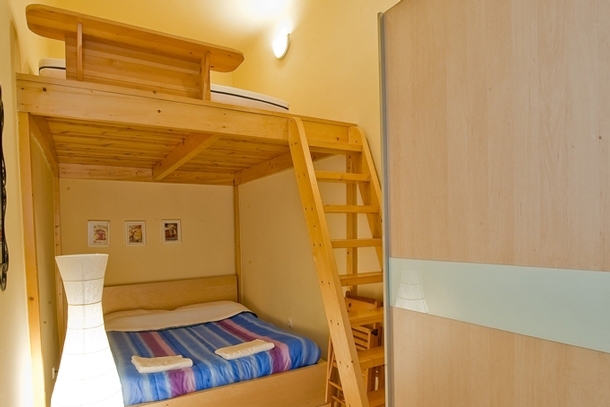 IMPORTANT: The number of persons (adults and children) must not exceed the number of 8 sleeping places for this apartment. 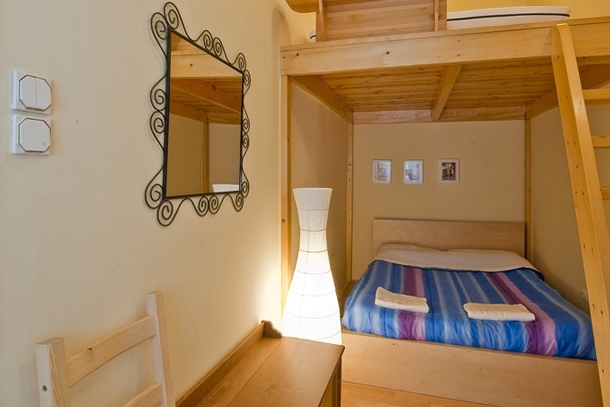 Transfer airport/apartment (one-way price for a car of 4 people 30 €) - more information on this after the reservation. 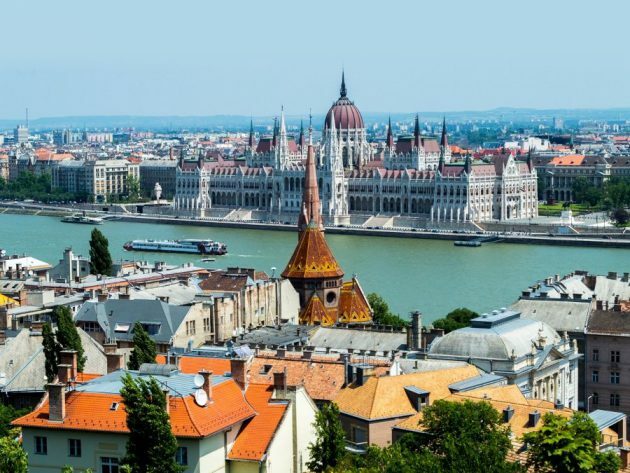 City Tour 1 day Majestic Budapest (62 €. adults, 48 €. kids) - more information on this after the reservation. 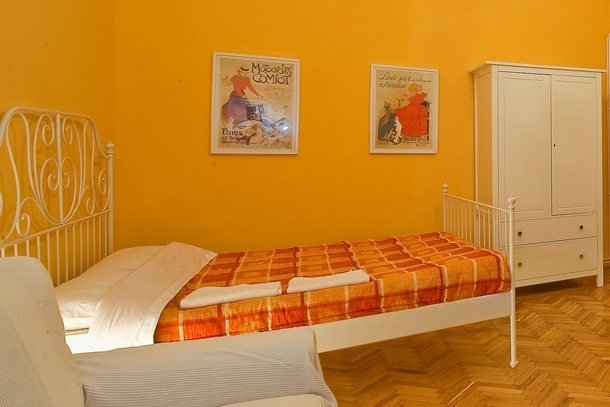 Prices are in Euros, per night, per apartment. Price from 39 € . 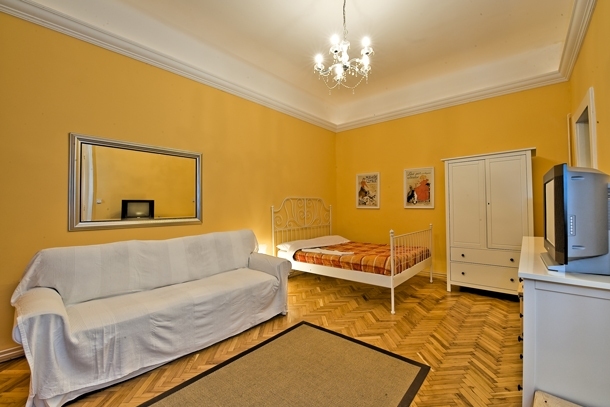 Final cleaning fee of 17€ (one time price) will be added automatically during the reservation. Linen & towel change fee of 17€ (one time price) will be added automatically during the reservation.